Good People is a searching drama for the modern age. Jonathan Kent directs the London premiere of David Lindsay-Abaire’s 2011 Tony-winner that explores the two faces of America’s Dream with a nod too to some of that country’s greatest 20th century literature. With the first half of the action set squarely on the wrong side of South Boston’s tracks, the play follows a few days in the life of Margaret, a “Southie” all her life and a middle aged single parent who has cared for a severely disabled adult daughter since birth. Her daughter’s demands have denied Margaret the ability to hold down steady employment and the play opens with her being fired from her supermarket cashier's job. Desperate for work she tracks down Mike, a childhood friend and now a successful doctor and amidst banter with her bingo hall buddies and an intriguing past with the doctor, so Lindsay-Abaire’s tale pans out. 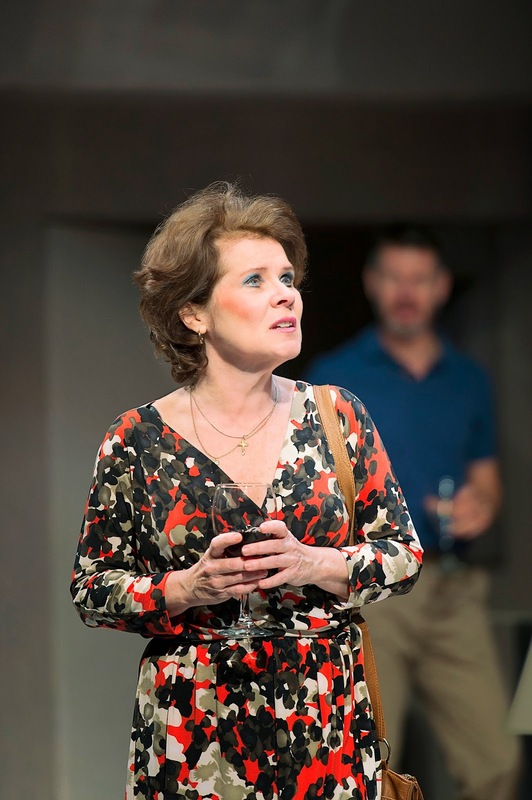 The star turn of the play is Imelda Staunton's Margaret. 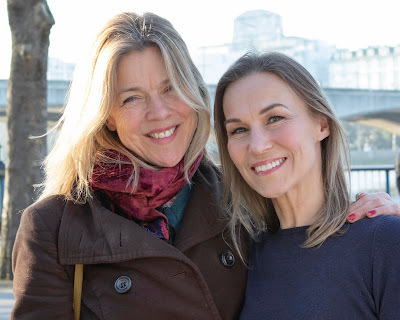 She and Kent have previous form together (he directed her Oliver award winning Mrs Lovett in Chichester's Sweeney Todd three years ago) and he coaxes from Staunton a performance of the most marvellously measured mania. Margaret’s lot is a tough one and Staunton never once lets us forget that hers’ is a character that has only known the hard knock life. There is a hint of Arthur Miller's Willy Loman in the story's opening moments as we see her fired, reluctantly, by a supermarket manager who we learn is the son of an old friend. Her tragic circumstances are continuous and whilst Staunton’s performance of a woman, literally on the edge, is sublime and sensitively realised, that so many of the audience laugh at her so often, is actually rather uncomfortable. There’s a distasteful prurience at work here, (Is it really so "blisteringly funny" as the posters proclaim, to laugh at a woman so tragically desperate?) that possibly says more about the chattering classes of the play’s predominantly well-heeled audience, than it does about the painstakingly fleshed-out heroine. Mike is played by Lloyd Owen. Life has dealt him aces and he has clawed his way out of the South Boston poverty projects through a combination of luck and hard work. He has a complex history however and in his dialogues both with Margaret and with young wife Kate (Angel Coulby) the timing and nuance of all three actors is exquisite. We find that Mike and Kate's marriage is shaky and built on some reluctant compromises and there are moments in act 2, largely set in their beautiful suburban mansion, that echo Edward Albee’s Whose Afraid Of Virginia Woolf. At the bingo hall Susan Brown and Lorraine Ashbourne put in delicious caricatures of hardened harridans, ultimately loving towards Margaret yet as sceptical as good friends should be. Again, the dialogue between the three women is acutely observed by Lindsay-Abaire, with perfectly weighted performances. Whilst some of the story’s links may stretch credibility and occasionally the tale’s chapters sit oddly together, what is unquestionable is that each chapter is brilliantly scripted. The text convinces and all the actors are nigh on flawless. Hildegard Bechtler’s ingenious use of the theatre’s revolve also impresses. Lindsay-Abaire captures the grit of human endeavour, tragedy and deceit in his two hour work. Whether Good People leaves you amused or troubled it will surely make you ponder. The play should not be missed and its outstanding cast will leave you stunned.